We offer 3 simple service options so you can choose which service is right for you. Tenant find, rent collection or fully managed, we have a service option which will suit your needs. Landlord is responsible for collecting rent. Landlord is responsible for property management. Our entry level service. We will market the property on all the major UK property portals, find a tenant and progress the tenancy to move in. Our basic service is designed for those who simply want us to find a tenant, agree a price and help progress the legal paperwork. However, the Landlord would be responsible for rent collection and managing the property throughout the period of the tenancy. This would therefore suit local Landlords who don’t or want the support of an agent once their tenant has moved in. If you are happy to manage the ongoing repairs and remedial works on your property during the tenancy, but are looking for an agent to collect the rent on your behalf, this is the service for you. Our expert local knowledge and experience means that we don’t just find any tenant, we find the right tenant for your property. We are proud to be members of ARLA – one of our company Directors has been a member for 15 years. Our fully managed option. We will handle everything, before, during and after the tenant has moved in. We will handle the collection of the rent and manage all aspects of property maintenance on your behalf. All you would need to do is hand over the keys, and we will do the rest. 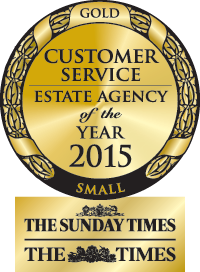 Our premium service is designed for Landlords who want their agent to look after every aspect of the tenancy. This is an excellent option for first time Landlords, as well as experienced portfolio owners. We handle everything, from dripping taps to blocked drains, as well as ensuring your rent is paid on time. Property management can very quickly become the most challenging and time consuming aspect of letting a property, particularly with an older home. Our Premium service offers full management with regular inspections and maintenance and repairs. We operate 7 days a week and we have a team of trusted tradesmen and contractors, so know that with Ivy Gate, your property is in safe hands.